The history of the Hotel Niza began in 1908. Juana Eguren, born in Zumárraga to a family dedicated to the hotel business (Hotel Paraíso, Zumárraga), arrived in San Sebastián at the turn of the century and bought the Hotel Biarritz on the Plaza de Zaragoza. She and her husband, Juan Juantegui, had four children: Amparo, Maritxu, Carmen and Antonio. 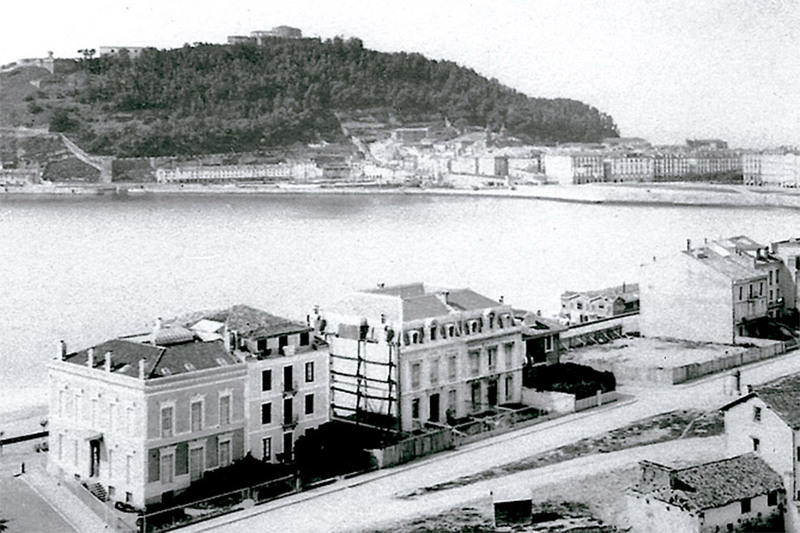 In 1908, she bought the villa on Zubieta Street and built the Hotel Niza. The hotel was managed by her niece, Maria Luisa Alvaro. Every winter, the family closed the hotel and moved to the Hotel Biarritz, where Juana, an extraordinary woman, was in charge of all aspects of the hotel’s economy, management, etc. Two more floors were added to the Hotel Niza during the Spanish Civil War, when it reached its current height. The Biarritz Bar was the part of the restaurant where guests enjoying full board savoured dishes prepared by Mr. Linder, former chef to the German Kaiser. In the late 1960s, Juana Eguren died, and the Juantegui family began dividing up her estate. The Hotel Biarritz was sold, and disappeared as a hotel. Eduardo and Gonzalo Chillida become the owners of the Hotel Niza following the death of their parents, Carmen Juantegui and Pedro Chillida. In 1970, Eduardo Chillida, his wife, Pilar Belzunce, and their eight children became the only owners. They began an ambitious renovation, directed by the architect Iturriaga, because each floor had only two rooms with bathrooms and a common bathroom shared by four rooms. Each room was given a full bathroom, all structures were reinforced, and the hotel was arranged as it is today. A small part of the hotel’s history can be found in the living room, which is presided over by the portraits of its founders, Juana Eguren and Juan Juantegui.